Full Circle, a collection of modern dance pieces, investigating life’s ups, downs, and the unexpected changes that somehow lead us right back to where we started. Full Circle will debut on Sunday, October 20, 2013 at 7:00 pm at the Woolfe Street Playhouse located at 34 Woolfe Street. Tickets, $15 for adults and students, can be purchased online at http://fullcircle.brownpapertickets.com. Annex Dance Company is not your average dance company. Through collaborative projects with a variety of different artists and mediums, Annex Dance Company has a made a name for themselves as the premiere classical modern dance company with an edge in Charleston and around the world. They have performed at events such as Jail Break, Piccolo Spoleto Festival, Philly Fringe Festival and the OPEN Arts Festival. They are a huge contributor to the expansion of the Charleston arts community with routinely held residencies and outreach programs. 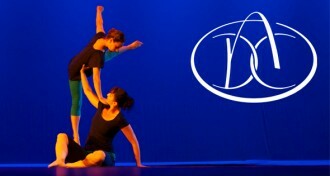 Weekly beginning, intermediate, and advanced modern dance classes are held at Dance Moves of Charleston.